From Chris S: She came out beautifully. Lots of hard work!!! From Ellen C: Aww. Quinci. She is both beautiful and sweet. You did capture her. What good work! From Susan F: Well done, Quincy. You captured her sweetness - and the cuteness of the stuffed toys, too. Your efforts paid off! From Mel F: Your Girl with Toys came out beautifully! You can see the sweetness in her face! Congrats on a job well done! From Sandie I: Absolutely beautiful Quinc!!! Lots of hard work but definitely worth it! From Ariana G: Lovely painting. The toys are incredible. I want to cuddle them. 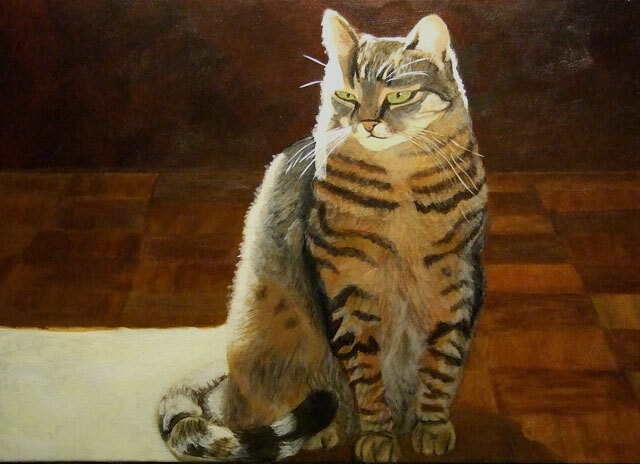 From Marlene W: Nicely done.love your paintings and interesting subjects. 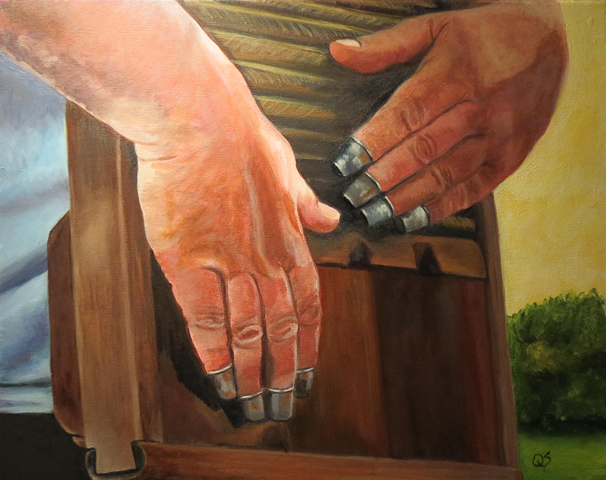 From Sandie I: Another amazing painting!!! From Ellen C: Ah Quinci, What a great job you did with Darby. He looks so happy to be running on that beautiful beach. Well done! 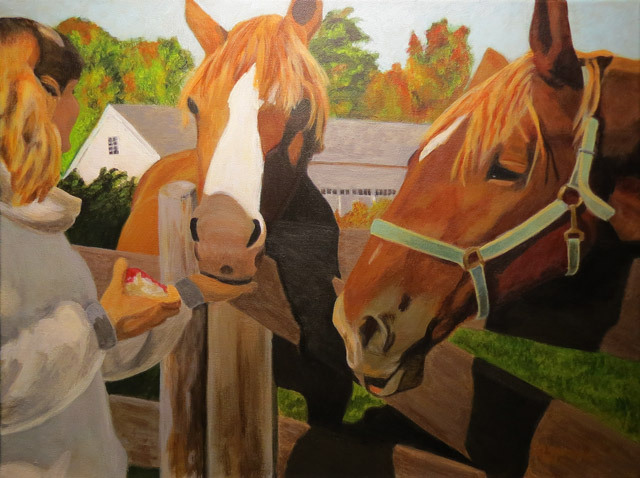 From Paula R: Quinci, your paintings make you feel like you're a part of them. Love this! 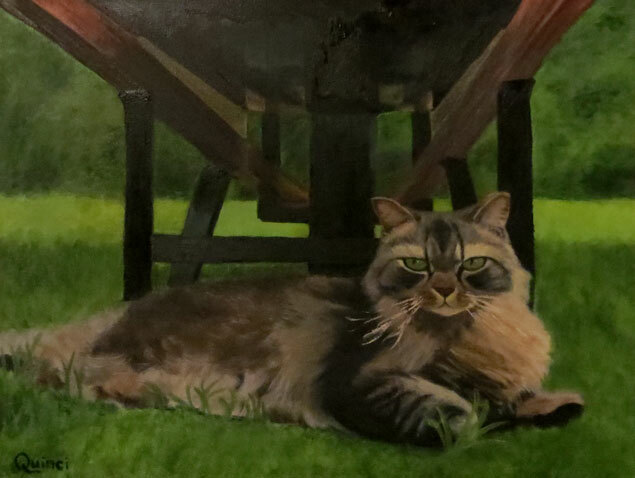 From Susan F - The painting of Luky is exceptional, Quinci. I enjoyed watching you put on the finishing touches - and perfecting your signature. ? 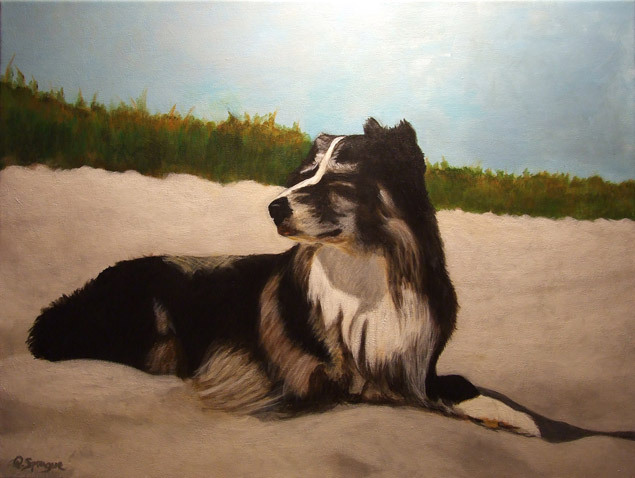 ​From Sandie I - Just love this painting! From Amy W - Quinci - so many beautiful paintings! Looking at your latest, I keep looking to see what the cat is looking so intently at! Great job. 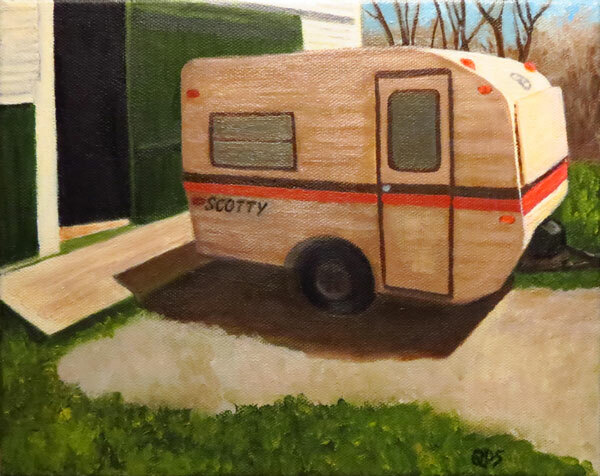 From Nancy B - Quinci I love all your paintings! Your kitty looks so very soft! Congratulations! From Chris S - He looks so real! He is so handsome. Well done! From Ellen C - Awww. Luky is so regal and so beautiful. And you capture his fur so well I just want to give him an unwelcome hug! Well done Quinci! 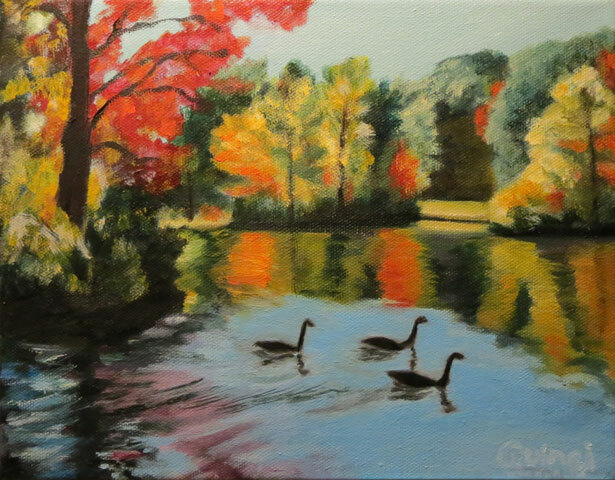 Ellen C.
From Christine S - You have done an impressive number of beautiful paintings. This is a happy painting of good times in the past and those to come! From Catie T - So inviting that I want to jump in and take it for a ride! So great Quinci! From Ellen C - Quinci, What a great job you did. I want to jump in! 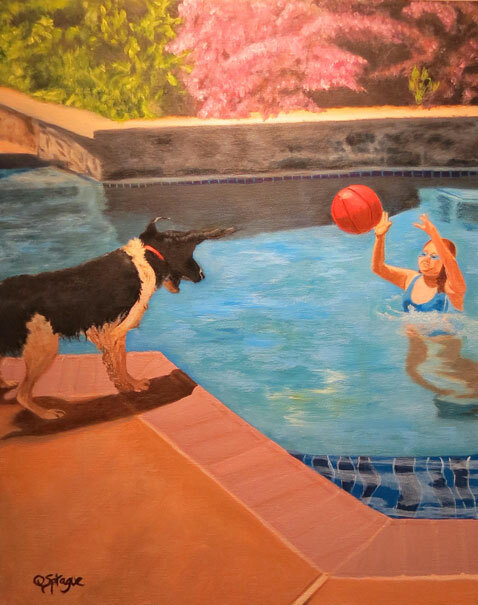 You really captured a summer day. From Catie T - Such a happy picture! The colors are fantastic. Your work is simply beautiful! From Sandie I - Beautiful as usual, Quincy! From Chis S - You have captured the essence of summer. I can almost feel the droplets from the dog's fur. So many wonderful paintings in your gallery!????? From Catie T - I will miss him in class!! He is wonderful!!! From Sandie I - Really nice! From Quinci to Sandie: Thank you, Sandie! I'm so glad to finally call it done! Comment to Quinci S - comments posted upon approval.